Leaving behind a past filled with damages and horror, life returns to normal in Jojug Marjanli village of Azerbaijan. The settlement, located in the Jabrayil region of the country, was liberated from the occupation in April 2016, when Azerbaijani Armed Forces prevented an Armenian provocation on the contact line. Now, the families, who were forced to leave Jojug Marjanli because of Armenian invasion in early 1990s, have already returned to the village, and many other families are to come in the near future. All these became possible thanks to the brave Azerbaijani soldiers and the government, which has created all necessary conditions for internally displaced persons from Jojug Marjanli to return to their native village. 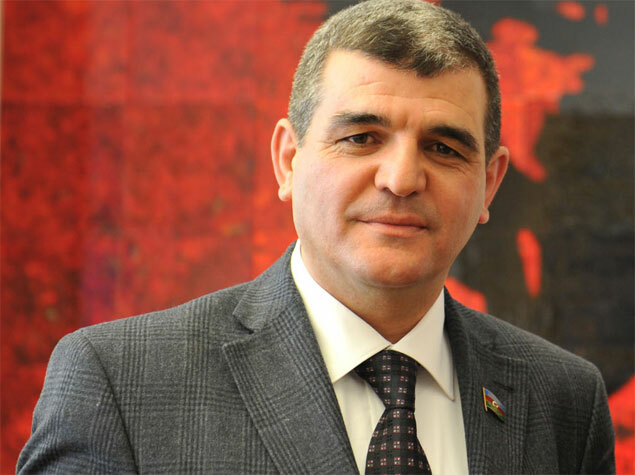 "The restoration work carried out in the Jojug Marjanli village, liberated from Armenian occupants, is the indicator of great care and attention of the country’s government to its citizens," MP Fazil Mustafa told Day.az on September 10. During the first phase, 50 private houses, a school, mosque, electric substation, hydrometeorological station, highway and other relevant infrastructure were constructed in Jojug Marjanli. The village was provided with gas, electricity and water supply. He reminded that the construction of 100 more new houses is ongoing in the village, and that one of the government’s major tasks is the resettlement of internally displaced persons and their provision with a decent life in their native land. “The number of people wishing to return to their native village is increasing, and this fact is a proof of the great trust of people to the state policy and the indicator of a great patriotism,” Mustafa said. He noted that currently there is a great work in the village on construction of social infrastructure – residential buildings, roads, transport infrastructure and other facilities of vital necessity. The second phase of construction and restoration work and work on improvement and creation in Jojug Marjanli started on June 15 this year, after President Ilham Aliyev signed an appropriate decree. The Nagorno-Karabakh conflict began in 1988 when Armenia made territorial claims against Azerbaijan. As a result of the ensuing war, in 1992 Armenian armed forces occupied 20 percent of Azerbaijan, including the Nagorno-Karabakh region and seven surrounding regions. More than 20,000 Azerbaijanis were killed and over 1 million were displaced as a result of the large-scale hostilities. The 1994 ceasefire agreement was followed by peace negotiations. Armenia still controls fifth part of Azerbaijan's territory and rejects implementing four UN Security Council resolutions on withdrawal of its armed forces from Nagorno-Karabakh and surrounding districts.